We all know that Google AdSense is the most popular PPC (Pay Per Click) network where any website owner can use them to increase their online visibility and click through rates. Are you looking for ways on how to increase AdSense CTR? 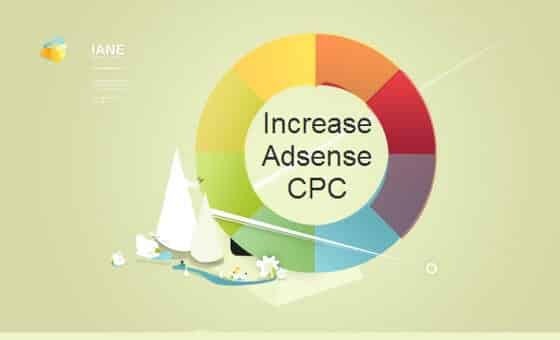 If you are searching to increase AdSense cpc of your blogs in 2018, you are in the right place. As I have been using Google AdSense for a long time now (also used for years for this blog), I know few secret tips that can help you increase your CPC and CTR rates to boost your income. And many more which we will be covering in this detailed article to improve Google AdSense CPC rates. Click Through rate is the percentage of people clicking Google Adsense ads on our website. Let’s imagine your average CPC is $0.2 and if you have got 12,500 average clicks. You should recieve around $5,000. Now, if your CPC had been $0.3 with the same number of average clicks, you could generate $7,500. See, just with a $0.1 increase, you are able to generate $2,500. This is the reason why you need to focus on improving your click through rates (CTR) instead of focusing on getting more clicks in the first place. Google Adsense CPC will depend a lot on your website niche. But if you are operating in a highly competitive niche, cost per click (CPC) will be much higher on the Google Adsense ads that are placed on your website. But highly competitive niche means, you need to put in extra efforts and time to get targeted traffic to your website. Lots of people think that the only way to improve CTR is targeting the highest paying keywords, but that will not be much productive. The key for improving Google Adsense CTR will be targeting the right niche and enriching targeted content, improving CTR and being an authority website in your niche etc. Being an Google Adsense publisher, we need to look at ways to improve our Google Adsense CPC and CTR. Before diving into the details, you must know few things about increasing your CPC and CTR. How to calculate your CPC? Your CPC will be less than or equal to max. bid, because it’s an avg of bids of all the competitors in a specific period of time. Lets get into the details without much ado on increasing your CPC and CTR rates using Google AdSense PPC ads. Please go through the above article for picking up a better niche for your businesses to make more money online each and every month. Let me know if you have any questions related to improving your AdSense CPC and CTR rates. f you enjoyed this article, you might also want to read 7 Best WordPress Analytics Solutions Compared (2018). Next Post:How To Avoid Getting Your AdSense Account Banned?